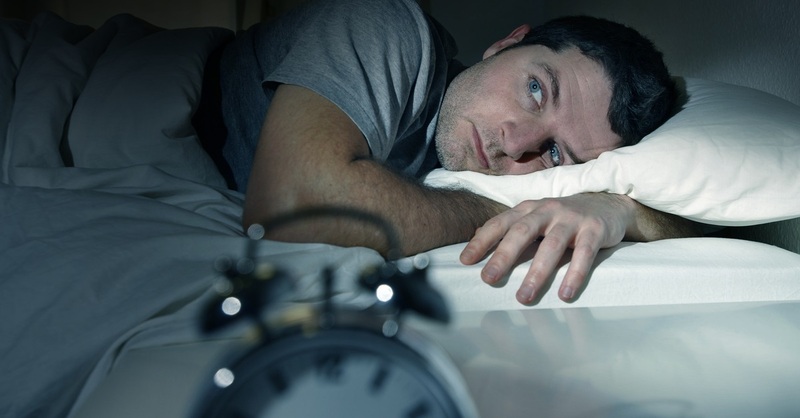 One of the most common symptoms of a number of mental health issues is insomnia, or the inability to sleep. At night time our minds are left free from distraction such as work or the television and we are left alone in the dark with our thoughts – often spiralling until we are kept awake with worry or overthinking. Insomnia tips can make all the difference. Getting a good night’s sleep is one of the best things you can do to set yourself up for the day ahead and having a good sleeping routine can help relieve some of the symptoms of depression, anxiety and other mental health issues. Whilst it can sometimes feel impossible to even think about getting a solid seven hours of sleep every night of the week, there are a number of actions you can take to help you on your way to a better night’s sleep. Room Temperature – Studies have shown that keeping your bedroom between 16 and 18 degrees optimises the release of melatonin. Using a fan in the summer and heater in the winter to maintain the same temperature all year round could help you to get back into a good sleeping routine. Exercise – Nothing tires you out quite like a good workout – whether is taking a walk home from work instead of the train, hitting the gym after work or completing a yoga class in the comfort of your own home with the help of YouTube. Not only will it promote the release of endorphins – the happy hormone – it can also help reduce nervous energy and help you fall asleep when you get into bed at night. Routine – Routine is extremely important to maintaining a good sleeping pattern. Experts recommend sleeping at the same time every night and waking at the same time every morning – even on the weekends – to help promote healthier sleeping habits. Keep a Diary – Emptying your head of your thoughts before you go to sleep is a great tool to preventing your mind going over and over your day once your head hits the pillow. Keeping a diary is a great way to prevent this from happening – before you sleep write a checklist of tasks for the next day and brief details about the previous day to help get it off your mind. Twenty Minute Rule – If you’re not asleep within twenty minutes of getting into bed, get back out again and distract yourself from the frustration of not being able to sleep. Read a book for a few minutes, take a stroll around the house or simply change locations as the frustration of not being able to sleep immediately once we’re in bed can often be what keeps us awake.